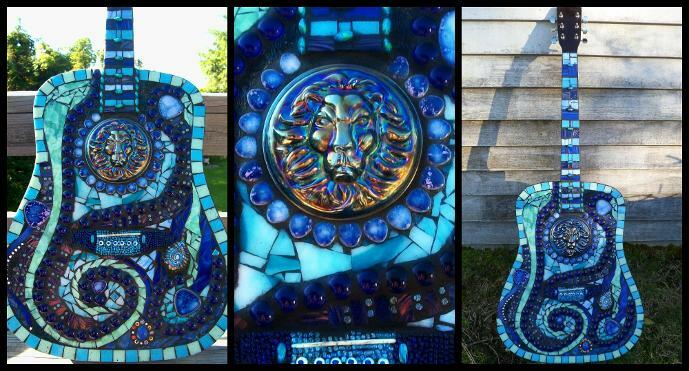 In memory of Cecil, and all animals murdered by poachers, I am giving away my Lion Blues Guitar. This is to benefit the Wildlife Conservation Research Unit of Oxford University. Cecil was one of their study lions. 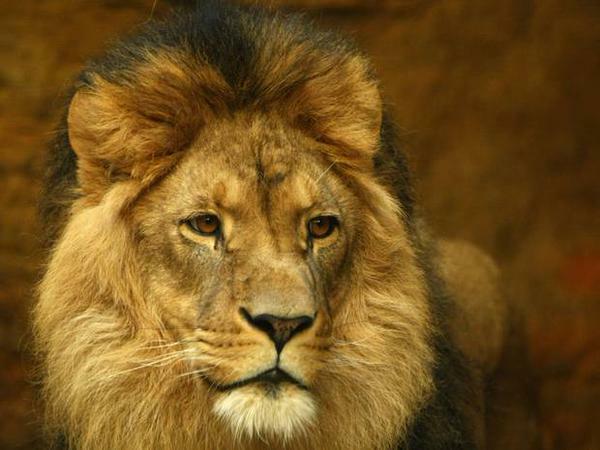 In July, a man from Minnesota, Walter Palmer, lured 13 year old Cecil out of the national park with bate, shot him with an arrow, tracked him for 40 hours, shot him with a gun, skinned him, and beheaded him as a hunting trophy. 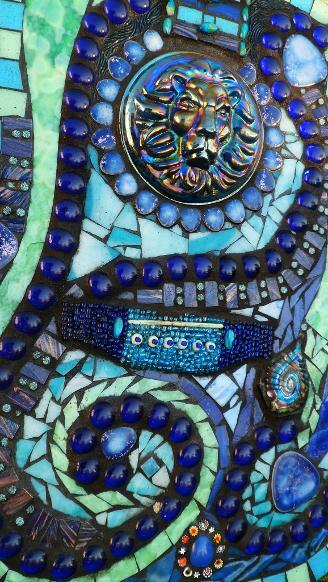 The mosaic piece I'm giving away is called Lion Blues... 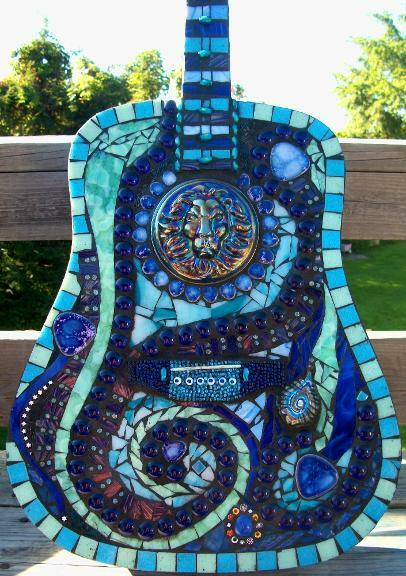 It's a full size mosaiced acoustic guitar. When I rescued it from a pile doomed for the landfill, it was a broken & unplayable guitar. Now it takes on new life as an art piece.... and a symbol of the hope, gratitude, and thanks we all feel toward the workers and educators that dedicate their life to protecting these big cats. It was created with stained glass, millifiori, beads, ceramic tile, glass tile... you name it, it's there. - and of course the glass lion medallion. The piece is wired to hang on the wall. We are doing a true old fashioned give-away here... all the names we get will be put into a bucket, and we will film my children choosing a name. If together we can try to make anything good come of this cowardly, sickening act, then lets do it... and help out the incredible teams of people that are dedicating their lives to understanding and protecting the beautiful creatures that we share this planet with! To read more about the WildCRU team, scroll down! .. and on a side note- I will be paying to ship the winner the guitar... so please don't let shipping costs deter you from donating! UPDATE: The guitar has been won by a lovely woman named Lori in Oklahoma City, Oklahoma! Thank you to all who participated and made a donation! We raised $1495 for the Wild CRU! I am not an organization... just an artist that was moved by the death of Cecil, and wanted to do something to try to help. I have no connection with Oxford University, and they don't have a connection to me. This is just my way to get the name of a great group out there... and in some little way, to help. At the WildCRU, in the Recanati-Kaplan Centre at Oxford, we are studying lions in various parts of Africa to uncover the science that will inform and underpin their conservation. This is urgent, because lion numbers are precariously low, estimated at fewer than 30,000 across the continent and we have evidence that there are actually fewer. We have worked on the lions of Hwange National Park, with the support and collaboration of the excellent Zimbabwe Parks and Wildlife Management Authority. Our goal is to understand the threats that lions face, and to use cutting-edge science to underpin solutions to those threats. Our work is scientific, we have satellite-tracked the movements of over a hundred lions and monitored every detail of the lives of more than 500 individuals, but WildCRU’s work is also highly practical – we run a courageous anti-poaching team, a local conservation theatre group, and education campaign that gets information into every school in the district, and we work with local farmers to help them live alongside lions and improve their livelihoods.